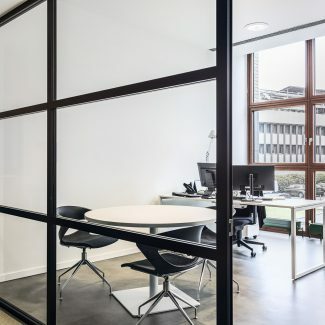 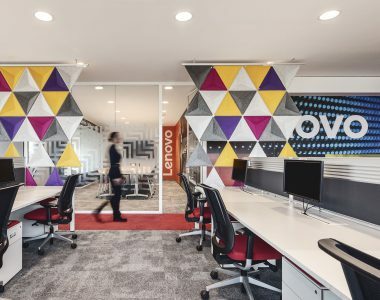 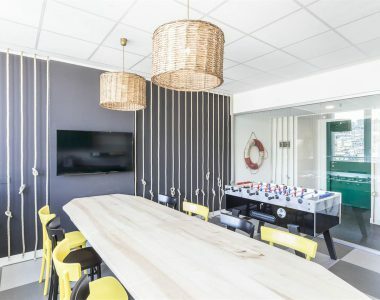 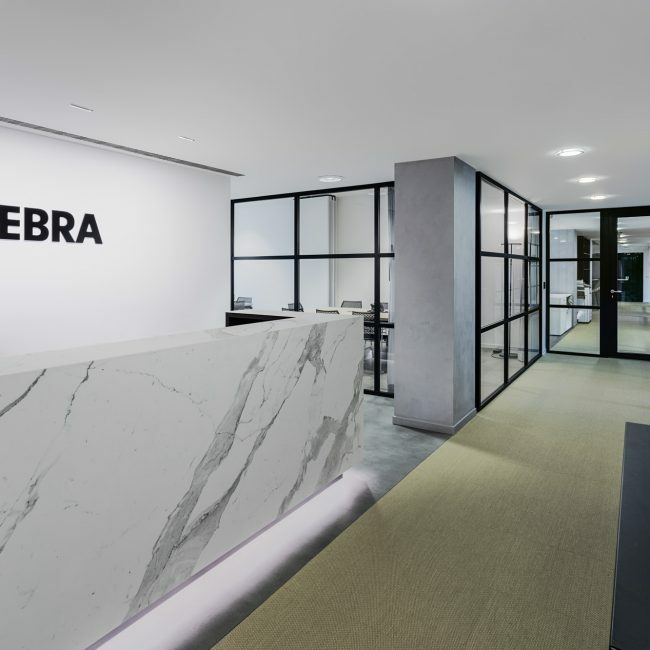 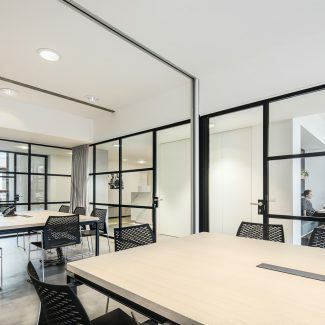 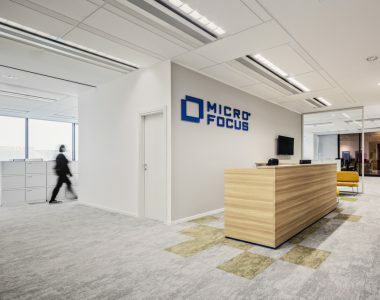 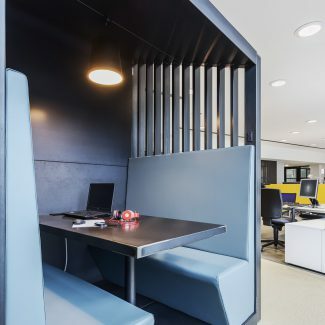 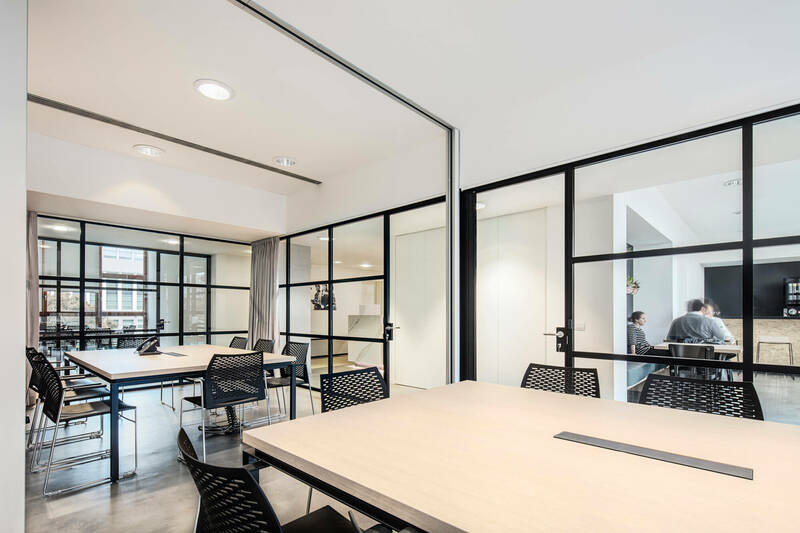 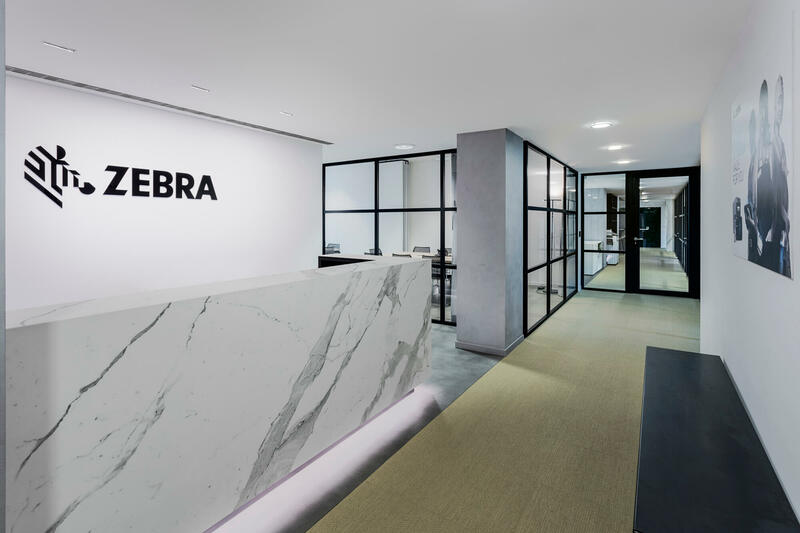 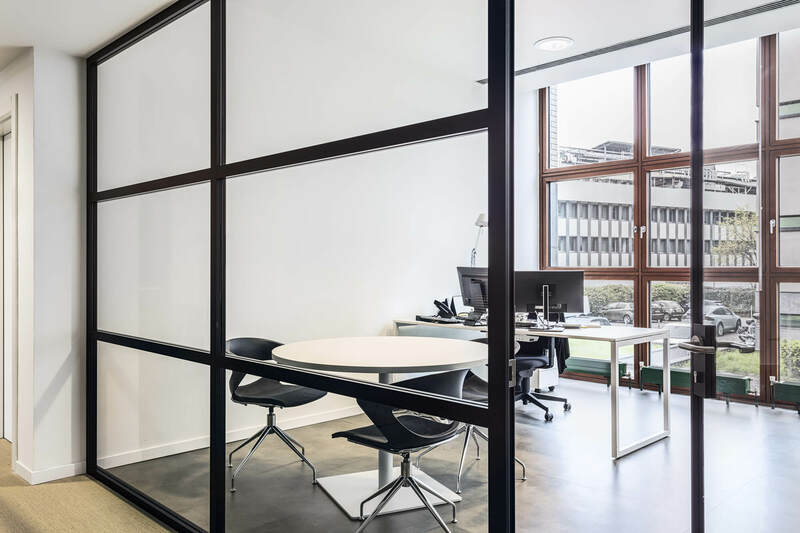 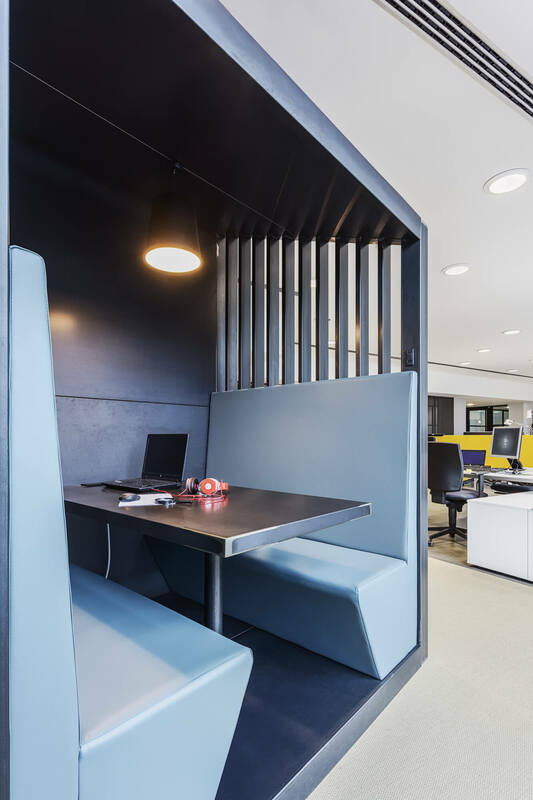 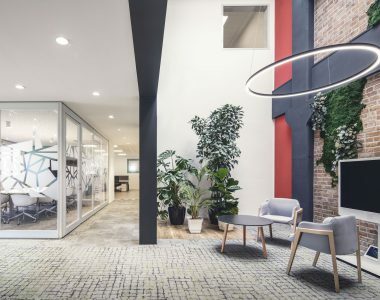 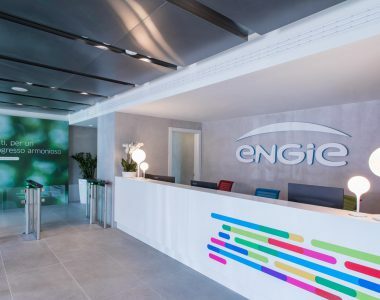 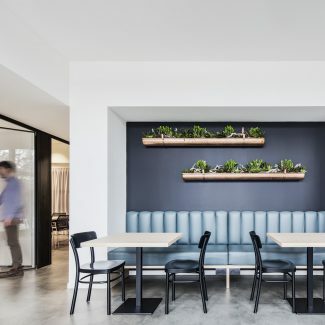 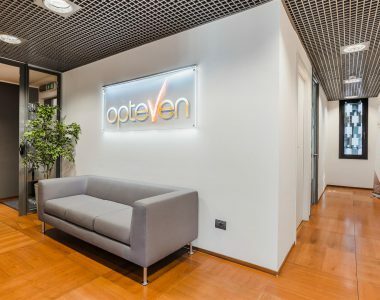 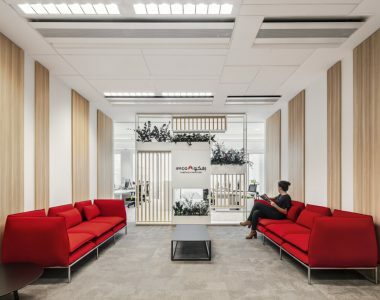 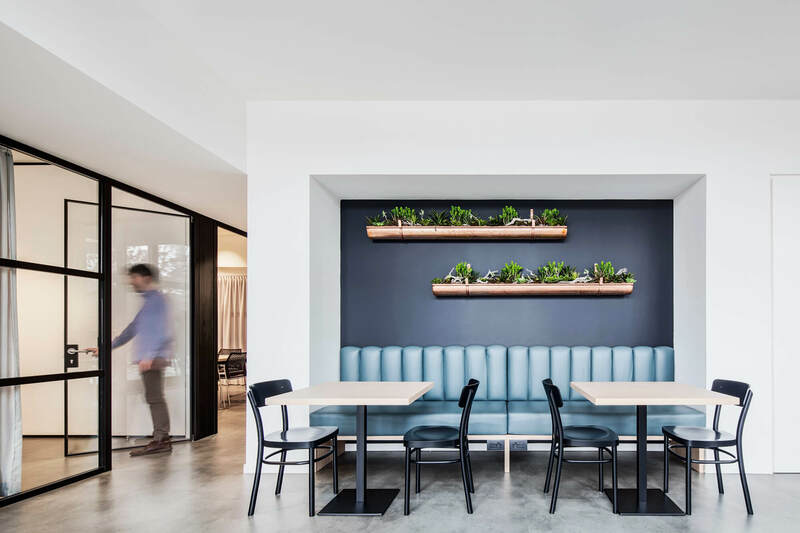 The client’s need was to relocate its Milan office into a new space within a very short timeframe while maintaining the majority of its office furnishings. 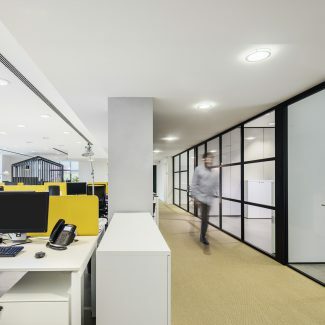 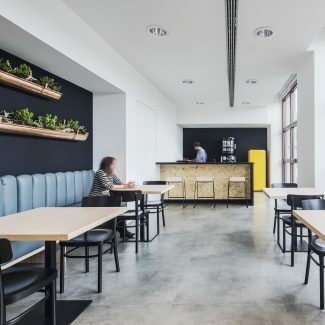 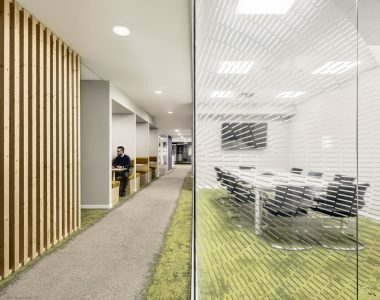 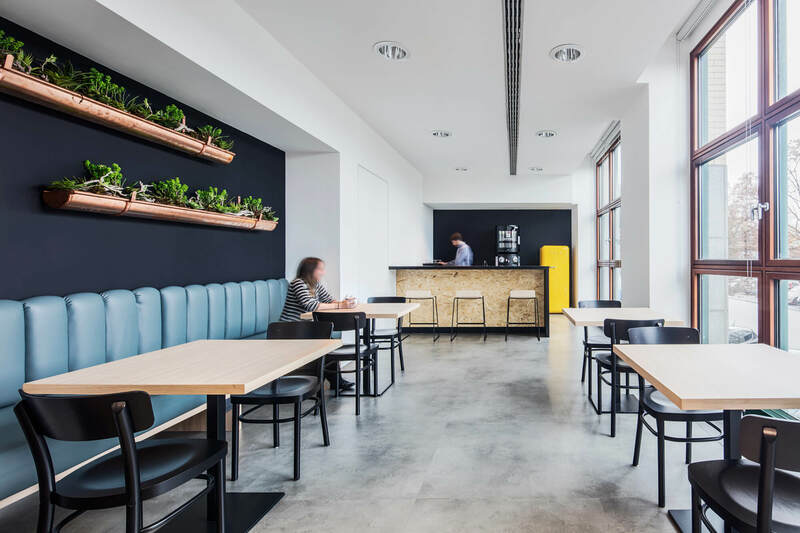 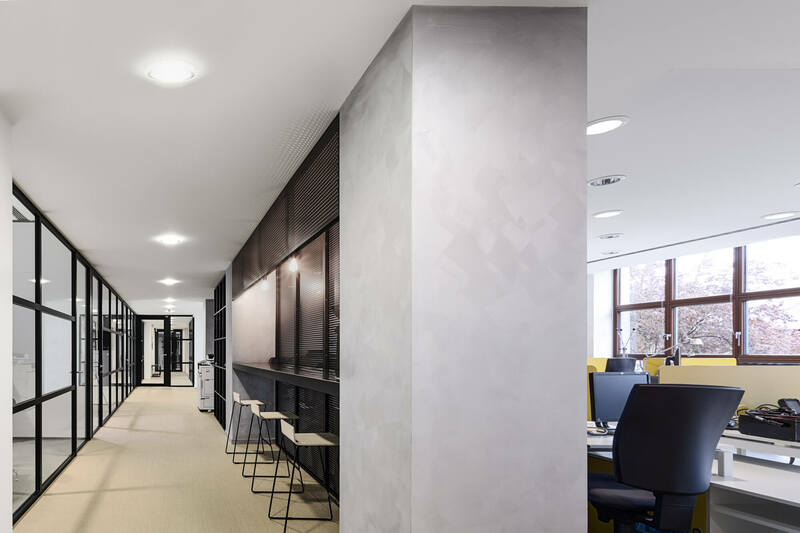 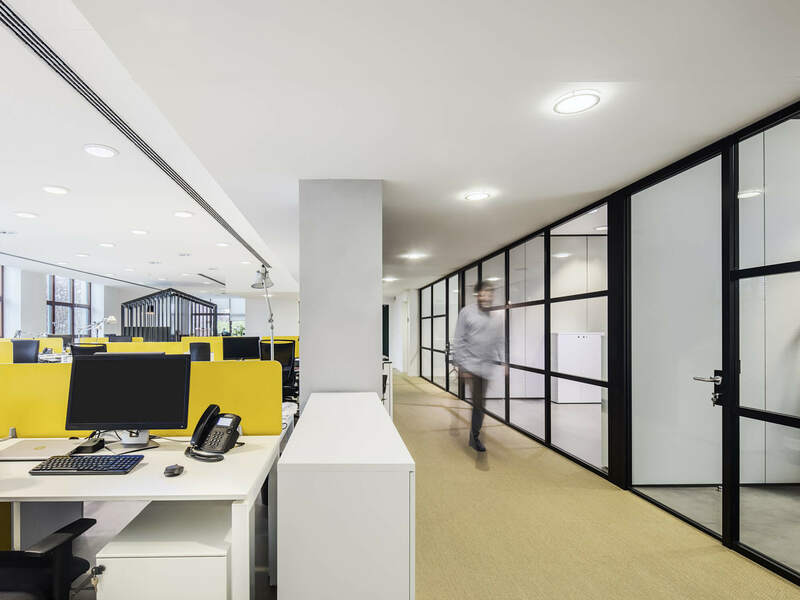 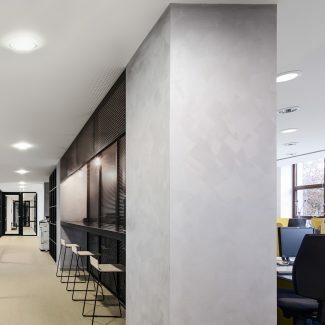 Tétris was asked to characterize the new location minimising interventions on the suspended ceilings and on the flooring, owing to the lack of time and strict budget. 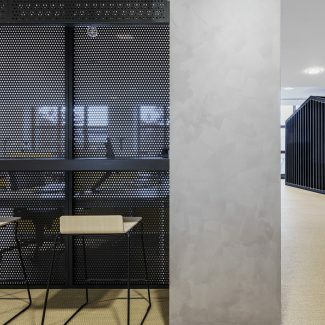 Starting from the building location, in close proximity to an abandoned railway factory, the idea was to recreate an industrial environment, which would reflect the old style of Milanese workshops. 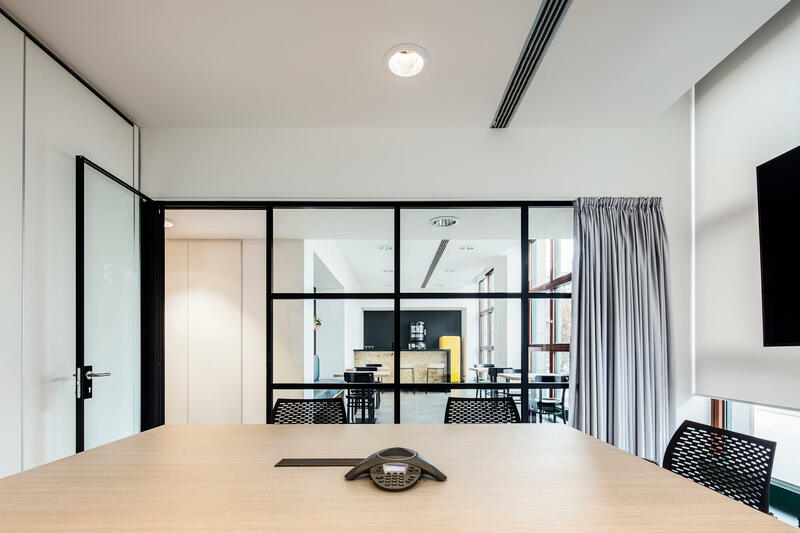 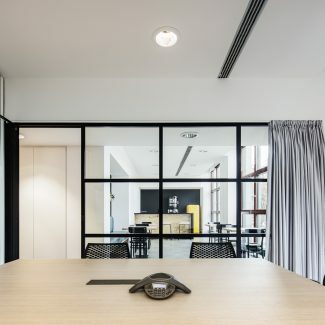 The meeting rooms, that are expandable owing to movable partitions, can be utilized for hosting events; these rooms directly communicate with the break area but the use of acoustic curtains safeguards the privacy of the users. 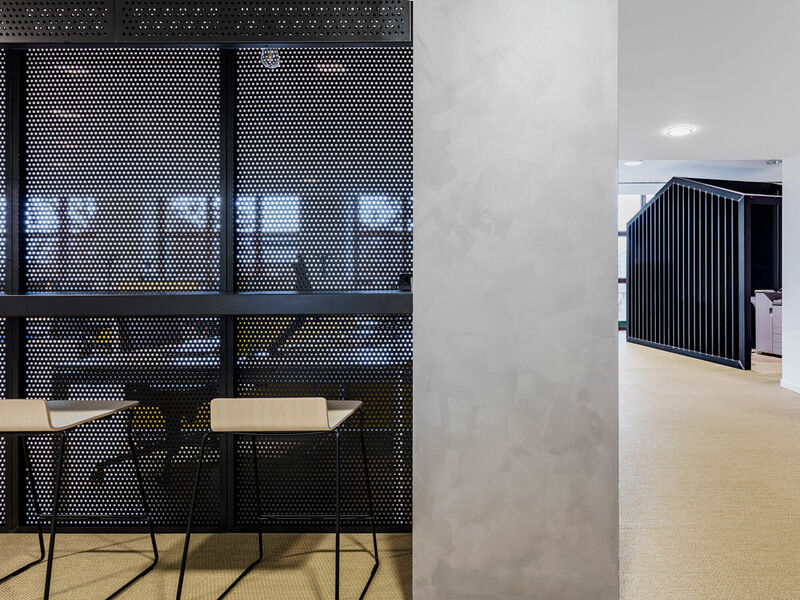 The spaces between the corridor and the workspace are converted in touch down and support areas; a small metal house divides the laboratory from the open space and serves both as meeting and copy area.